It is a commonplace to describe innumerable cities and even countries in this part of the world as “the crossroads between East and West.” Bulgaria is one of those laying claim to that geographical and cultural locus. Rudyard Kipling famously wrote “Oh, East is East, and West is West, and never the twain shall meet,” but Mr. Kipling, I think, was not correct. Meet they continue to do and the resultant compounds and conflicts are ever in flux, even well over a century after Bulgaria’s de facto 1878 independence from the Ottoman Empire. Even decades before independence, Bulgarians had mixed emotions and formed different schools of thought as to Ottoman and European influence and what could truly be identified as Bulgarian. In Balkan Smoke: Tobacco and the Making of Modern Bulgaria, Mary Neuburger’s description of that post-1878 period could as well describe post-1989: “As the normative values of European superiority swept in at a torrential pace, Bulgarians were enticed but also wary about trading one set of ‘foreign’ forms (Ottoman) for another (European).” Bulgarians often complain about inefficiencies and poor quality of services and products—“Bulgarkska rabota” (Bulgarian work), they say dismissively, waving a hand at something they consider second-rate. But at the same time they are loathe to lose the satisfactions of a life lived small at a humane pace. Communism ironically reinforced, or perhaps even created, not a collective of like-minded citizens working together for the common good, but a nation of stubborn individuals. The surface impression of the relative westward or eastward lean is a lesson in the wisdom of judging by the book cover. I used to think that cultural differences made their impact most strongly in the obvious—language, food, dress, architecture, and so on. 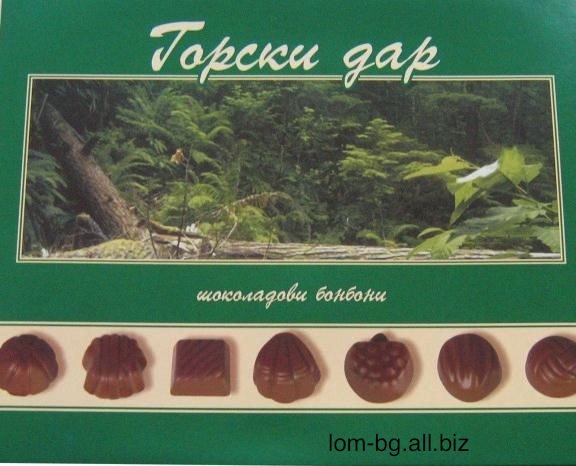 And so when I lived in Bulgaria 1995-1997, I was often fooled into thinking that I was not being affected by cultural differences. I used a telephone to call and to schedule a business appointment. I went to an office that resembled those I had seen all my working life in the United States. Western business suits were worn, business cards passed around, agenda items discussed. I went back to my office to discuss the results with colleagues. Things went awry at worst and at best I was often bewildered by the outcomes or lack thereof. These rites governing interpersonal relationships are learned and absorbed only by those born of that culture or living with it for a very long time. It can be a fascinating experience to see your spouse exhibiting his or her cultural behavior and mores and wisdom in a way you don’t have the opportunity to see in everyday life as a couple. Rumen and I spend the 2001-2002 winter in Bulgaria and during that time took a four-day New Year’s holiday in Istanbul. Naturally we visited Istanbul’s famed covered market, the Kapali Çarşi or Grand Bazaar. After some time of wandering around, we decided to purchase a small rug from one of the hundreds of small shops. We determined beforehand to only speak Bulgarian between ourselves so that the shopkeeper wouldn’t know that I am an American. Bulgarians of course hear my accent and know immediately that I’m not a native, but a Turkish shopkeeper wouldn’t know and so my American identity wouldn’t affect the ultimate price he would demand. Rumen and the shopkeeper spoke in English, a second language for both, out of necessity and began the delicate and masterful purchase process. In the novel Pascali’s Island, author Barry Unsworth writes “All bargaining in the Levant begins and ends on a note of aristocratic indifference.” Neither Turkey nor Bulgaria is ordinarily included in the list of countries of the Levant, but the observation is true nonetheless. The slim shopkeeper of ambiguous age began by offering me a perch on top of a pile of rugs. He poured hot tea into glasses with an outward curving rim that allows you to avoid burning your fingers. 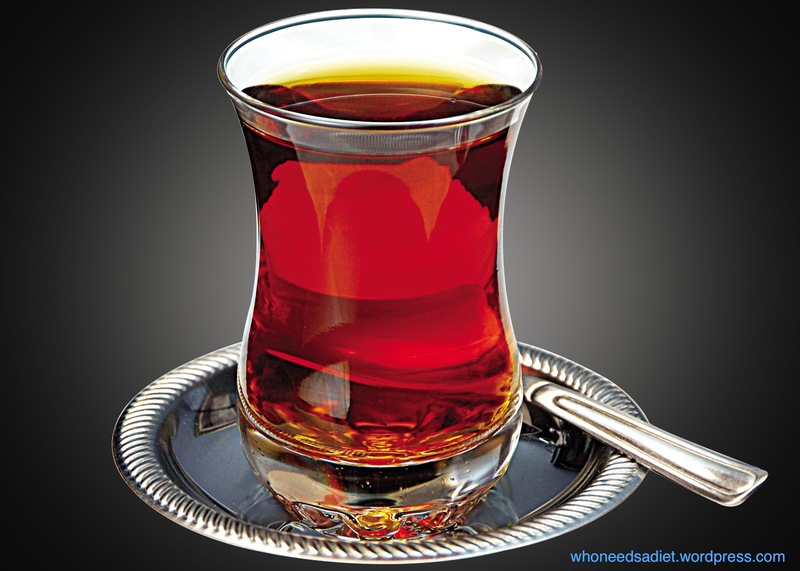 As in India, as in Turkey, the Bulgarians also call tea “chai”. I sipped my glass of chai and watched the two men. They were exquisitely polite, made no mention of price, looked at kilim after kilim (rug in both Turkish and Bulgarian), commented on their provenance, examined the patterns and symbols, discussed weaving methods and materials. Periodically Rumen and I conferred in Bulgarian. At last we chose and then the men started talking price, never raising their voices or losing the measured conversational style they had been using throughout. Finally the correct price was found, that magical number that allowed the purchasers to believe that they had made a good deal and the seller to feel he had retained his dignity and the rug its value. Only then did I thank the shopkeeper in English. He complimented me, asking where I had learned English so well and I then confessed it was my native language. Naturally culture is also expressed in holiday celebrations. A very old tradition of celebrating name days is still widely popular in Bulgaria. Following the Bulgarian Orthodox church calendar and saints, for many the name day remains more important than the individual birthday. Some name days, like Yordanov den, command more attention than others. You wish them a happy name day, you send a card if you have remembered enough in advance, you visit and bring a gift or flowers or chocolates. In turn the celebrant will have treats at home to celebrate with visitors and take treats around throughout the day, offering to all in honor of his or her name day. Offering treats to others is not reserved only for name days; it is the custom on any occasion worthy of celebrating, be it a name day, birthday, graduation, new job, new baby and so on. 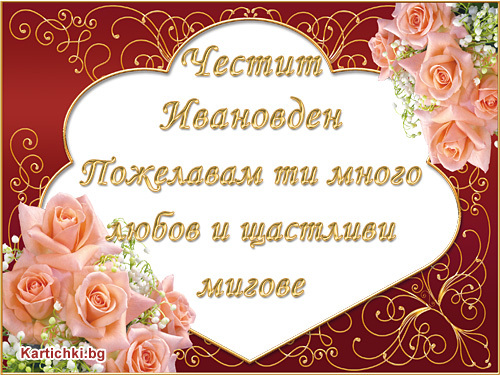 And the customary words for congratulation or greeting on a name day or holiday—chestit imen den or chestit praznik (happy name day or happy holiday)—are commonly used for even smaller, more pedestrian happy moments. Your barber will say chestito upon completing your new haircut as will the salesgirl when you settle upon a new pair of boots. The gift of celebration is thereby given to these smaller pleasures as well. A majority Christian country, a country prevented during Communism from explicitly emulating Western culture (and therefore cultivating in many a perverse longing for the forbidden) and a country today part of the European Union, Bulgaria has firmly aligned itself with the West. But many Bulgarians remain conflicted. 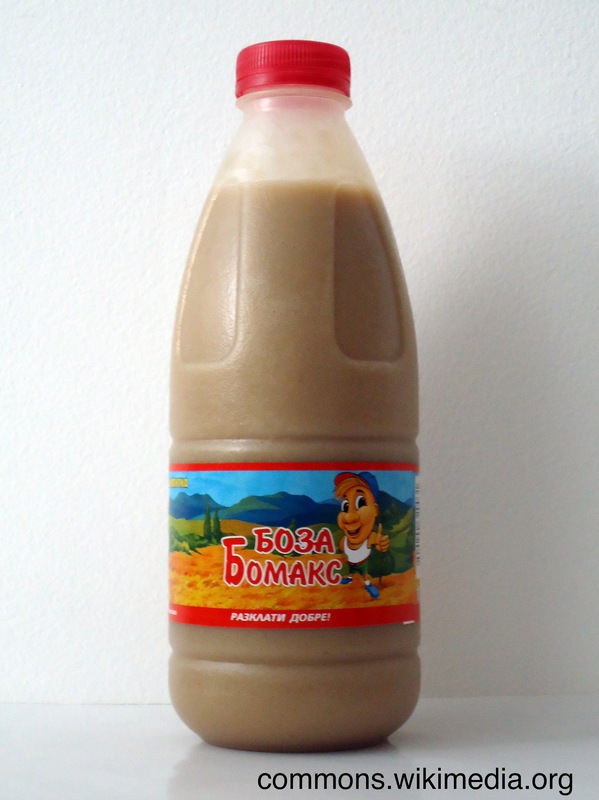 Boza is a drink that since ancient times has been made out of fermented wheat or millet; most likely it was introduced into Bulgaria during the Ottoman Empire. You can still find plastic bottles of boza, which is often drunk with banitza, a filo dough-based pastry usually eaten for breakfast. But boza is also a metaphor. In the mid-1990s, I was invited to a colleague’s house for dinner. Her father told me “Where boza starts, Europe ends.” Neuberger quotes Bulgarian memoirist Rayna Kostentzeva (1885-1967) as she comments on the early 20th century: “’Western civilization’ penetrated quickly into our life, seducing us.” Then and now, some Bulgarians are proud of their unique mix and seek to preserve and celebrate it; some fear loss of the old Eastern influence and the ascent of the new Western; some ascribe Bulgaria’s lower standard of living to not having shaken off Ottoman remnants and being Western enough. Often when we’re in Bansko, we eat at Dedo Pene’s, right next to the still used 1835 Sveta Troitza (Sainted Trinity) Church. At one point, our young waitress stood on a chair and expertly danced a kyochek, an eastern dance full of the gyrations used in belly dance. The crowd cheered her on. 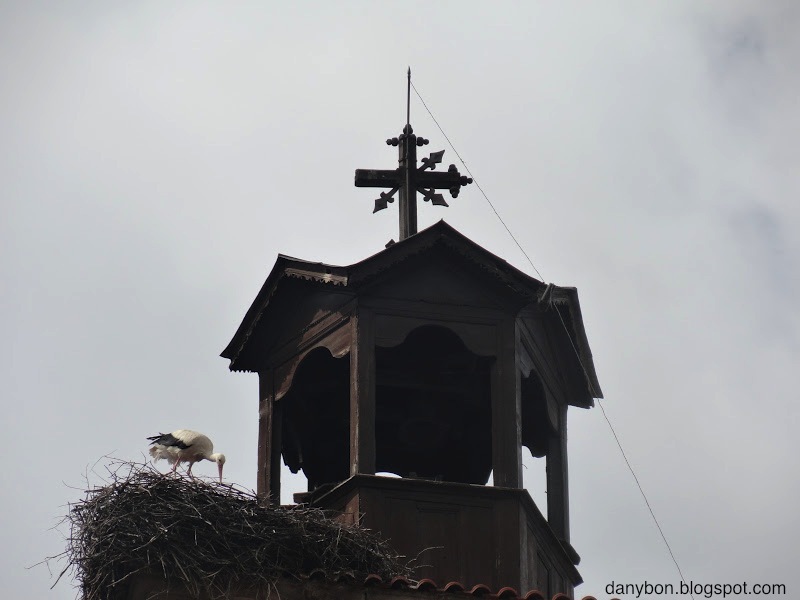 Outside, the storks slept in the Sveta Troitza church tower nest they use every year after returning west from their eastern winter migration across Turkey and the Arabian Peninsula.